How much water should you drink each day? a simple question with no easy answers. , but in truth, your water needs depend on many factors, including your health, how active you are and where you live. Though no single formula fits everyone, knowing more about your body’s need for fluids will help you estimate how much water to drink each day. Water is your body’s principal chemical component, comprising, on average, 75 percent of your weight. Every system in your body depends on water. For example, water flushes toxins out of vital organs, carries nutrients to your cells and provides a moist environment for ear, nose and throat tissues. A couple of approaches attempt to approximate water needs for the average, healthy adult living in a temperate climate. Replacement approach. The average urine output for adults is 1.5 liters a day. You lose close to an additional liter of water a day through breathing, sweating and bowel movements. Food usually accounts for 20 percent of your total fluid intake, so if you consume 2 liters of water or other beverages a day (a little more than 8 cups) along with your normal diet, you will typically replace the lost fluids. Exercise. The more you exercise, the more fluid you’ll need to keep your body hydrated. An extra 4 or 2 cups of water should suffice for short bouts of exercise, but intense exercise lasting more than an hour (for example, running a marathon) requires additional fluid. How much additional fluid is needed depends on how much you sweat during the exercise, but 13 to26 ounces (or about 2 to 3 cups) an hour will generally be adequate, unless the weather is exceptionally warm. During long bouts of intense exercise, sea slaltin yor water, as this will help replace sodium lost in sweat and reduce the chances of developing hyponatremia, which can be life-threatening. Fluid also should be replaced after exercise. Drinking 16 ounces of fluid per pound of body weight lost during exercise is recommended. Environment. Hot or humid weather can make you sweat and requires additional intake of fluid. Heated indoor air also can cause your skin to lose moisture during wintertime. Further, altitudes greater than meters may trigger increased urination and more rapid breathing, which use up more of your fluid reserves. Illnesses or health conditions. Signs of illnesses, such as fever, vomiting and diarrhea, cause your body to lose additional fluids. In these cases you should drink more water and may even need oral rehydration solutions, such as Gatorade, Powerade or Ceralyte. Certain conditions, including bladder infections or urinary tract stones, also require increased water intake. On the other hand, certain conditions such as heart failure and some types of kidney, liver and adrenal diseases may impair excretion of water and even require that you limit your fluid intake. Pregnancy or breast-feeding. Women who are expecting or breast-feeding need additional fluids to stay hydrated. Large amounts of fluid are lost especially when nursing. The Institute of Medicine recommends that pregnant women drink 2.4 liters (about 10 cups) of fluids daily and women who breast-feed consume 3.0 liters (about 12.5 cups) of fluids a day. Although it’s a great idea to keep water within reach at all times, you don’t need to rely only on what you drink to satisfy your fluid needs. What you eat also provides a significant portion of your fluid needs. On average, food provides about 20 percent of total water intake, while the remaining 80 percent comes from water and beverages of all kinds.but not all are good for you !!! For example, many fruits and vegetables such as watermelon and cucumbers are nearly 100 percent water by weight. Beverages such as juice are also comprised mostly of water. coffee, tea or soda can contribute, but these should not be a major portion of your daily total fluid intake. Water is one of your best bets because it’s calorie-free, inexpensive and readily available. Failing to take in more water than your body uses can lead to dehydration. Even mild dehydration as little as a 1 percent to 1 percent loss of your body weight can sap your energy and make you tired. Common causes of dehydration include strenuous activity, excessive sweating, vomiting and diarrhea. Mild dehydration rarely results in complications as long as the fluid is replaced quickly but more-severe cases can be life-threatening, especially in the very young and the elderly. In extreme situations, fluids or electrolytes may need to be delivered intravenously. It’s generally not a good idea to use thirst alone as a guide for when to drink. By the time one becomes thirsty, it is possible to already be slightly dehydrated. Further, be aware that as you get older your body is less able to sense dehydration and send your brain signals of thirst. Excessive thirst and increased urination can be signs of a more serious medical condition. Talk to your doctor if you experience either. Drink a glass of water befor each meal and between each meal. Substitute sparkling water for alcoholic drinks at social gatherings. If you drink water from a bottle, thoroughly clean or replace the bottle often. Refill only bottles that are designed for reuse. Though uncommon, it is possible to drink too much water. When your kidneys are unable to excrete the excess water, the electrolyte (mineral) content of the blood is diluted, resulting in a condition called hyponatremia (low sodium levels in the blood). Endurance athletes � such as marathon runners � who drink large amounts of water are at higher risk of hyponatremia. In general, though, drinking too much water is rare in healthy adults who consume an average American diet. 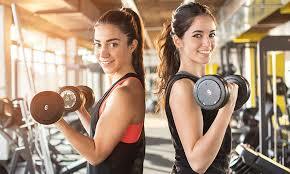 if need help with diet and lifestyle and exercise live chat with us now !